Associated Bank Residential Loan Officer Edgar Bernal (left) accepts the award from USDA Rural Development Acting State Director Dave Schwobe. USDA Rural Development Acting State Director, Dave Schwobe, named Associated Bank, N.A. 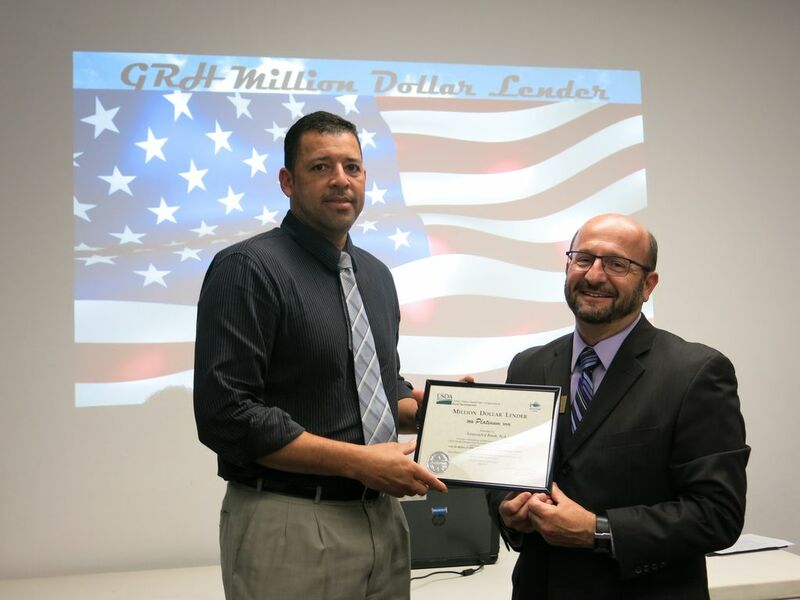 as a recipient of the 2016 Platinum Million Dollar Lender Award. In fiscal year 2016, Associated Bank, N.A. utilized more than $10 million of GRH program funds by financing home purchases to help moderate income families in Wisconsin. Nearly 2,400 families across Wisconsin were able to purchase a home last year through the GRH loan program, totaling nearly $318 million.